Spending a day at a spa is one of the best activities this city has to offer but with thousands on choices finding a nice and quiet place that has the latest beauty treatments couple with professional customer service in not easy. And for these reasons, my visit to Orient Skincare and Laser Center was an unforgettable experience. Upon entering the professional staff consulted with me on a regime that was specific to my skin type. Since 2006 Orient has opened four facilities in the Ho Chi Minh City, the newest one has four floors, centrally located in District 1. 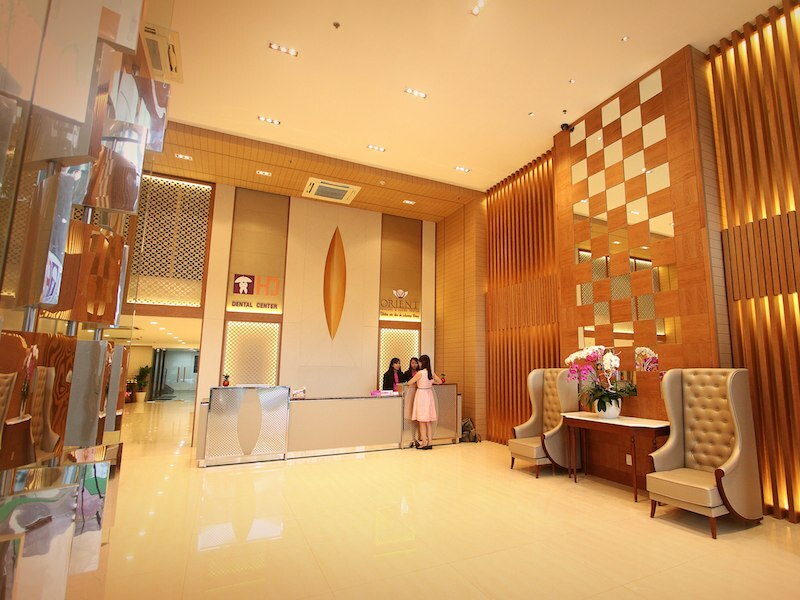 The center cooperates with doctors in Thailand to bring the latest in advanced laser techniques and other non surgery beauty treatments to Vietnam. 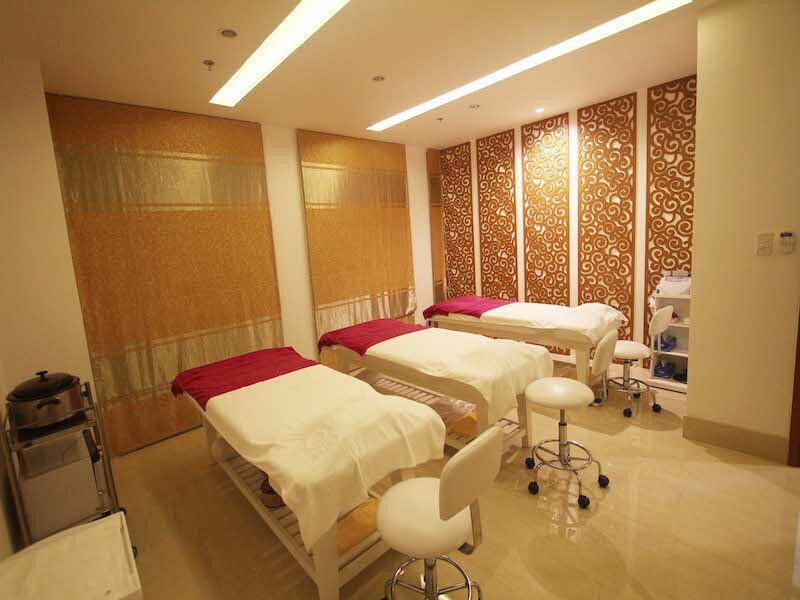 The dermatologists at the center are trained to solve skin problem that are either related to stress or diseases. All the products used are certified organic and everything is imported from Australia. This company knows what is trending and that’s why they’ve installed the revolutionary methods like laser for permanent hair removal, radio frequency for rejuvenation, VelaShape to clear cellulite, CO2 methods for perfect skin, as well as Botox and liposuction. But it’s not all about beauty treatments here. Orient has spa services to relax the body – full body massage, feet massage or a combined package. I chose to have a full body massage that included a foot massage. The masseuse started off working on my neck and shoulders. My goodness it hurt, but in a good way. Then she worked on my back, I was surprise how strong she was and was able to work out my kinks and knots. It was so relaxing that I even fell asleep. The session ended with a foot message that helped to relieve the pain of walking on concrete all day. I really enjoyed the natural oil essences and organic body cream they used for my massage. I explained to the doctor that I had a permanent pain in my back so they focused on that and I felt much better after it. I followed the massage with a facial cleansing treatment that the doctor recommended, and I can say that I felt the effects for several days later. They used a hydratant organic cream to enrich the moisture of my dry skin along with natural oils, absorbed through the pores. giving my skin a completely healthier appearance. Choose from a vast array of services: wrinkle removal, skin tightening, acne treatment, oily control, pigmentation augmenting treatment, anti-cellulite and slimming treatment, and permanent hair removal. The non-invasive Thermage procedure tightens skin, renews facial contours and promotes healthier collagen in only one treatment. Matrix RF fractional technology effectively treats mild to moderate wrinkles, acne scars and skin irregularities. You may have read about Botox Cosmetic in advertisements, blogs and celebrity gossip magazines, or heard about it from your friends. And as we age, skin loses its elasticity, and dynamic wrinkles begin to form. Botox is an effective skin treatment for subtly tackling the appearance of deep lines and wrinkles. It also prevents new lines forming by relaxing the facial muscles and reducing excessive facial movements. Lines and wrinkles will be smoothed out and you’ll be left with a youthful, glowing appearance. Botox is used cosmetically as a muscle relaxing injection for the treatment of wrinkles. Botox is used for three main purposes: muscle spasm control, severe underarm sweating and cosmetic improvement (temporary smoothing of frown lines, which are the lines between your eyebrows that can make you look tired, unhappy or angry). However, it is often used off-label for horizontal forehead lines, crow’s feet, marionette lines at the corners of the mouth and smoker’s lines around the lips. Orient Skincare and Laser Centre can consult and help you decide what’s best for you.